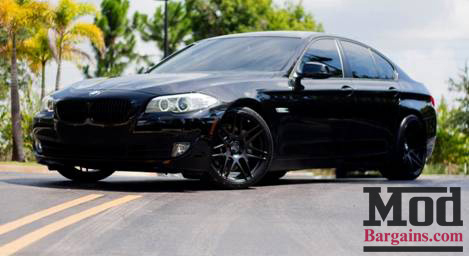 Luis F10 BMW 535i is a build much after my own heart. Luis wanted to maintain a “stock-like” look with a few subtle tweaks without going all fast-and-the-furious or full-tilt SEMA show-car. 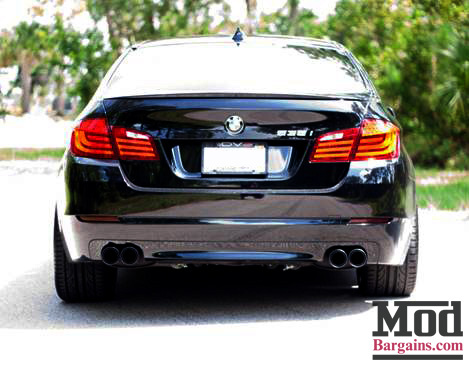 The Modification Experts like to call this the “OEM Plus” look – like factory, only better. The way it should’ve been factory. We’ll start with the exterior. 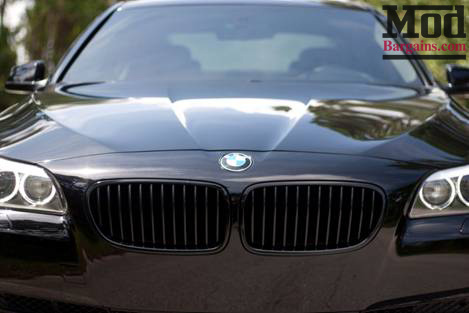 Up front the blacked out Kidney Grilles for F10 5-series key in to the black finish of the car, and also help create a slightly more aggressive aesthetic. The car’s stance is obviously not stock either. 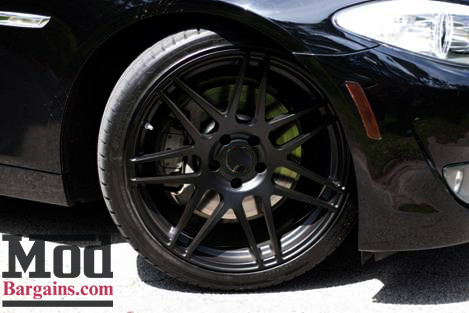 Continuing the black out theme, this F10 rolls on a set of Black Forgestar F14 Wheels for BMW. 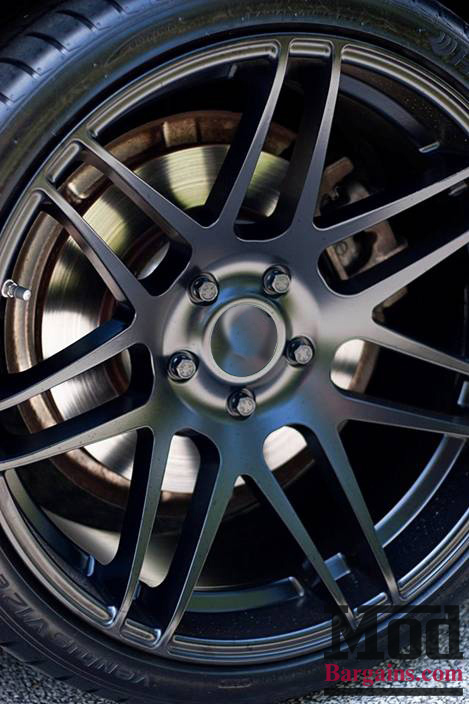 Choosing the right wheels for BMW F10 5-series can be challenging to pair the wheels with the styling of the car, but Luis takes full advantage of the F14’s design, opting for the Super Deep Concave for an edgier look. 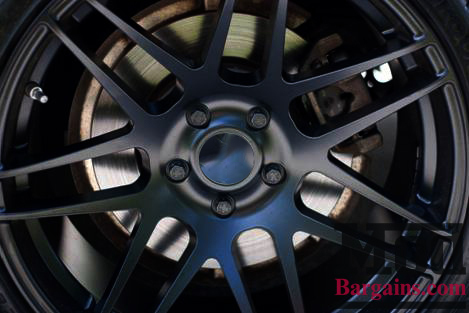 Paired with a drop courtesy of a set of H&R Sport Springs, giving the car that slight reduction in ride height it needed for the perfect stance. Out back, bolstering the F10’s exterior aggressive appearance is a M5 style rear spoiler, giving the rear end the visual “mass” it needed to look just right. 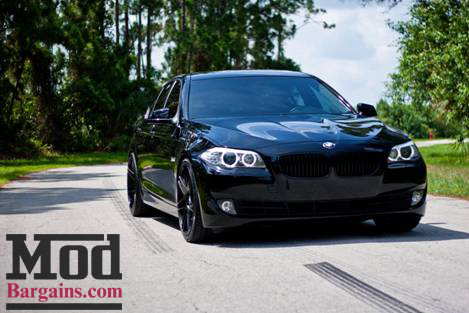 Luis’ F10 535i is still a work in progress, but that’s not to say it’s stock under the hood either. The N54 and N55 turbo sixes have always been engines that respond extremely well to Mods, and such is the case for the N55 in the 535i. Installing a performance BMW F10 Intake upgrade will enhance intake air flow, response and yield a good bit of “at-the-wheel” horsepower gain. 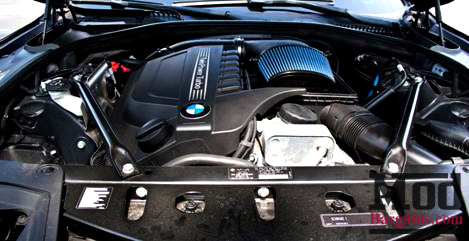 Throttle response is improved with a BMS Performance Intake System for F10 535i with N55 engine. 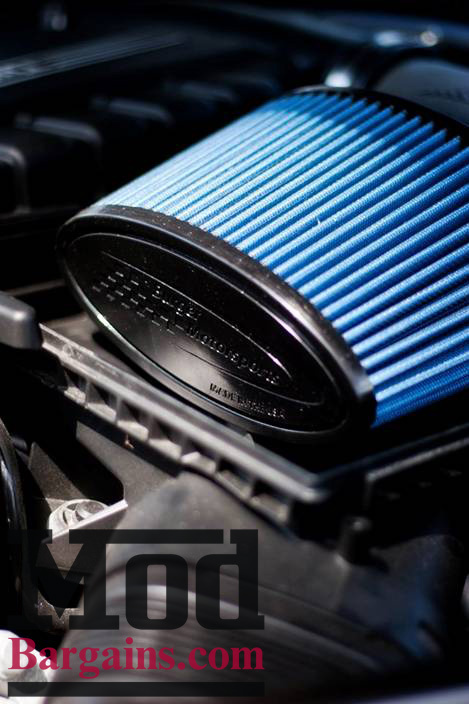 BMS’ intake system yields an additional 10+whp. To match the performance intake system, Modification Expert Alan Wei suggested Luis opt for a Remus Sport Exhaust for F10 5-series to give the car both a boost in power and response and a beefy yet refined sound – traits characteristic of Remus systems. Take a listen for yourself in this clip Luis shot. 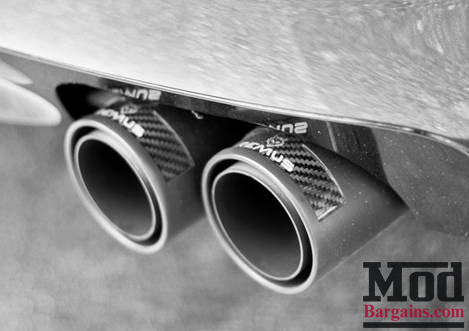 Continuing the blacked out look, a set of Remus’ Street/Race exhaust tips with their Carbon Fiber inserts are an ideal compliment to the blacked out theme. 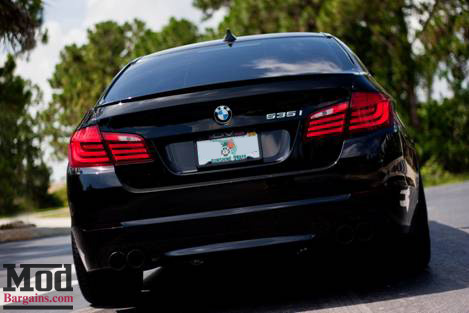 It sounds like Luis is off to a heck of a great start, and we look forward to seeing this F10 535i continue to evolve.